— More Reliable — Profits! will move your already-successful business to a higher plane. 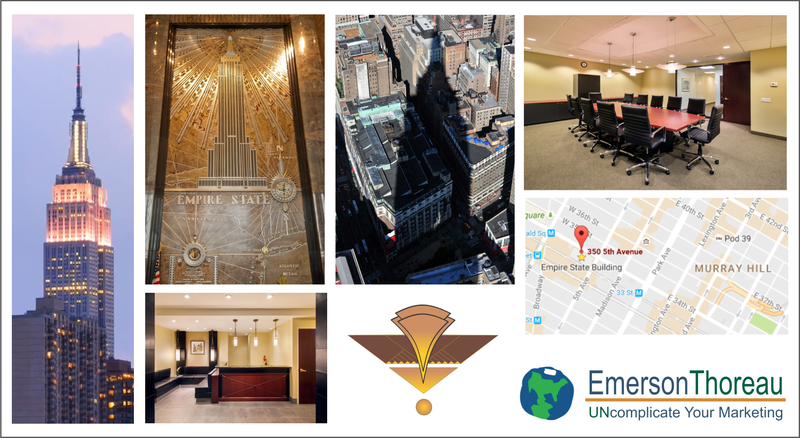 Why Do I Host My New York City Workshops @ The Empire State Building? Since 2014, even before locating my office there, I have hosted my NYC marketing workshops at the Empire State Building. Why? Because it’s a specific, vividly imageable location and, of course, it’s the most famous office building in the world. Located in Midtown, it’s easily accessible. And easy to find. There’s no need to give the street address — 350 Fifth Avenue. Also, though many of my NYC clients have visited the observation decks, few people have ever had the opportunity to spend a day working in The Empire State Building. So here’s your opportunity to spend 6+ hours on the 59th floor of this historic, 103-story building. But also, I chose the location because, as an environmentalist, I encourage and reward those companies working to reduce energy consumption. Since its half-billion-dollar make-over in 2010 — with $120-million spent to make the building more eco-friendly and energy-efficient — The Empire State Building has earned its LEED® Gold-Certification and been designated as the tallest, energy-efficient building in America. Though costly, The Empire State Building’s investment in energy-conservation was paid-back from energy-savings in just 3 years. Yet the building will continue to save energy (and millions of dollars each year) for the rest of its life. Similarly, the cost of my workshop and coaching package is an investment and should pay for itself many times over. If you take action to implement what you learn, your profits should quickly increase by many times the amount you invest in the workshop/coaching package. Then — for the rest of your life — you can use your newly-acquired communication skills, marketing strategies, and promotional concepts to earn greater and greater profits. you’ll take the new, high-speed, energy-efficient elevators to the 59th floor. 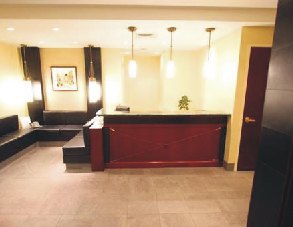 Here, at the Reception Area, you will be welcomed and directed into the conference room. Here’s the thing: My conference room is small. There are only a few seats available. That means these workshops are very exclusive. Invitations go out to only a few. Fewer, still, are accepted to attend. You may not get another invitation. (And not everyone who gets an invitation is accepted.) So don’t miss out. Attending one of these workshops may be a landmark event in the life of your business or non-profit. Need more information? Want to make sure this is right for you?